The museum recreates Alexander Kadakin’s office and living room. The museum is the first of its kind for a Russian mission in Asia. The Russian Embassy in New Delhi has opened a memorial museum dedicated to Ambassador Alexander Kadakin. The museum was opened on Feb. 10, on the occasion of Diplomat’s Day. “Russian diplomats sincerely carry out their responsibilities,” Foreign Minister Sergey Lavrov said in a video address that was shown during the ceremony. He added that diplomats dedicate their entire lives to service. Alexader Kadakin's diplomatic career began in New Delhi as a probationer in 1971. He passed away on India's Republic Day in 2017. He served as the Russian Ambassador to India for two terms from 1999 to 2004 and again from 2009 till his death. The memorial museum at the Russian Embassy in New Delhi is the first of its kind in a Russian mission in Asia. 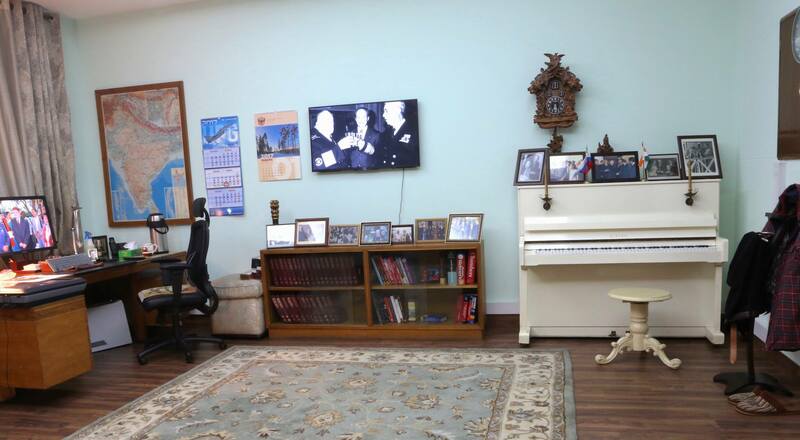 The museum recreates Kadakin’s office and living room and has his personal effects. “It will be open for the embassy's guests during official receptions, and for visitors taking guided tours of the embassy,” Anatoly Kargapolov, Charge D'affaires of the Russian Embassy in New Delhi, said. The Russian Embassy in Stockholm has a similar memorial museum dedicated to Alexandra Kollontai, a communist revolutionary who would later serve as the Soviet Ambassador to Sweden. Russia celebrates the Day of a Diplomatic Worker or Diplomat's Day on Feb. 10. It is a professional commemoration day to honor Russian diplomats and to pay homage to veterans of the Russian Diplomatic Service. The holiday was established in October 2002 by a decree of the Russian President Vladimir Putin.